I loved the print and long back hem of this top, but it looked boxy on me. I'm not at my ideal weight right now, so I'd rather camouflage my midsection! So while this print was nice, the boxy shape was unflattering. It looked better under a blazer, but I'd rather not spend on that much on a top that I can't wear solo. That's what Forever 21 is for, you know? 2. 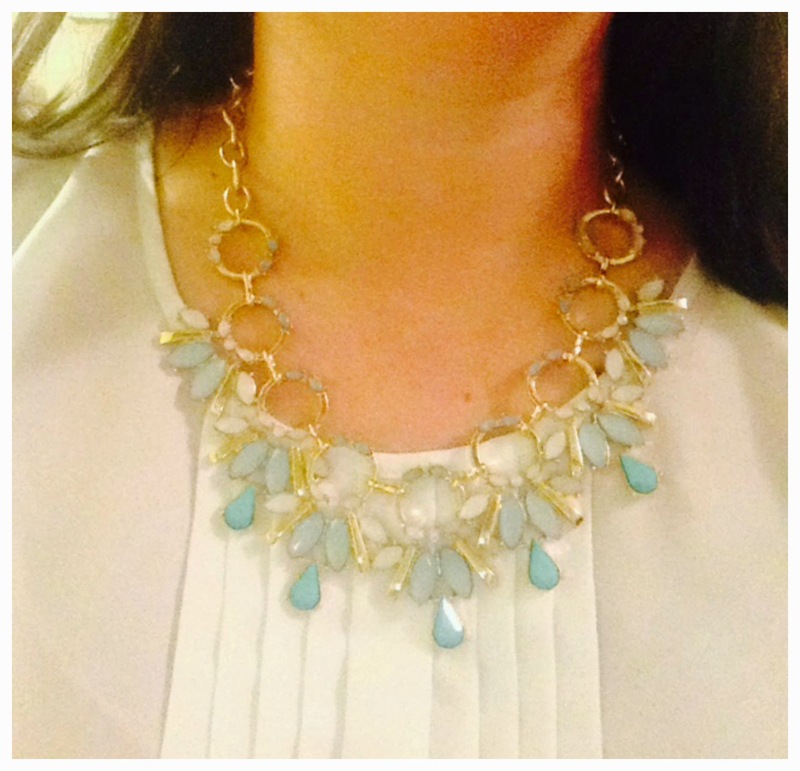 Starla Ornate Collar Necklace by Romolo ($44): Kept! Isn't this a pretty necklace? 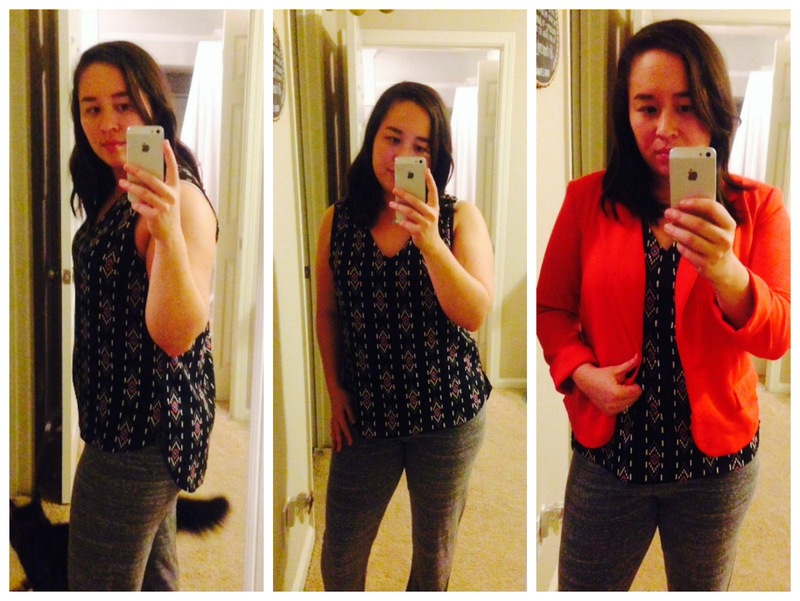 It's apparently a Stitch Fix exclusive, and I love the colors. It will go with a lot of tops, and the weight made it feel worth the cost. I'd say it's on par with J. Crew Factory quality necklaces, and similar in price to those. 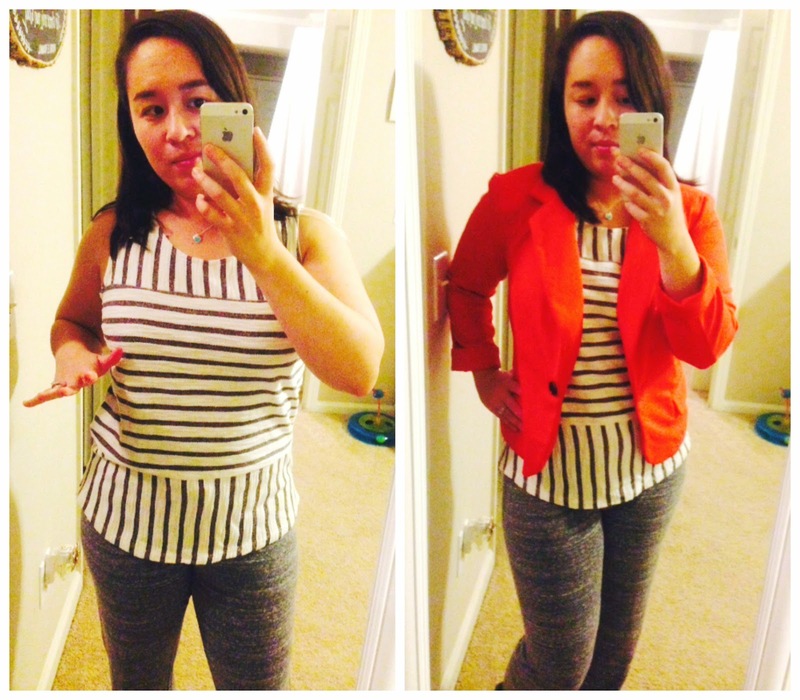 I LOVED the fabric on this top, and it was super comfortable! The back had a great zipper accent too. But the horizontal stripes? No bueno. Another boxy fit for me. It looked much better layered, but since I was already returning other items it didn't seem worth keeping. If it had short sleeves, it could have worked, because then the shoulders would balance out the middle. I can't wear cap sleeves. I repeat. Can't wear cap sleeves. 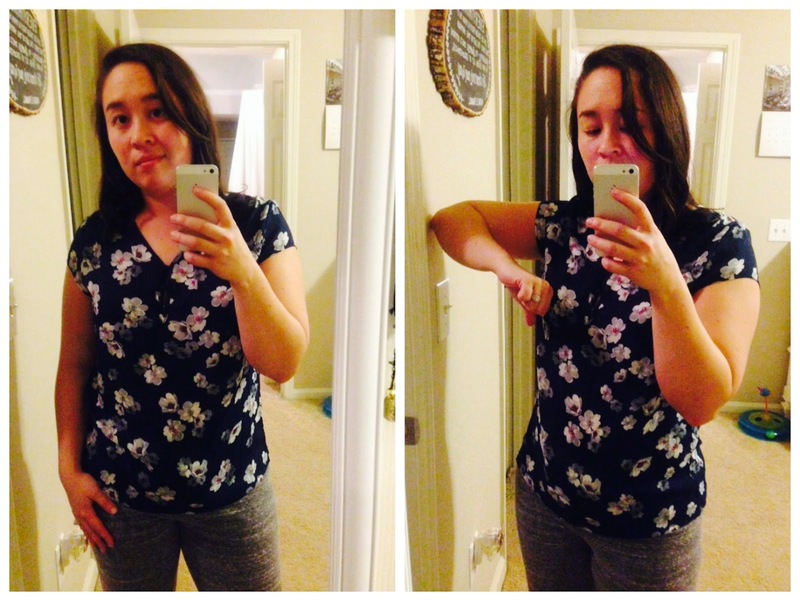 I loved the print on this shirt, so I was hopeful something about the shape would flatter me. It looked boxy and the cap sleeves still don't work for me. Womp womp. 5. 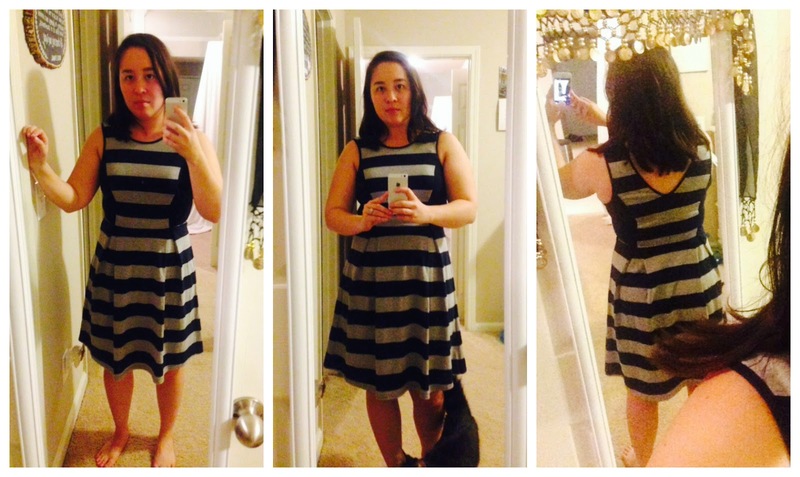 Carissa Striped Fit & Flare Dress by Pixley ($64): Kept! I didn't get great photos of this dress, as it is more flattering in person! The fabric is stretchy and comfy, so I know it will be a great traveling piece. The side panels on the top portion, and the stripe at the waist, accent my narrowest point, which is what I like. I showed the dress to Dan, and he was a fan, so I decided to keep it! I spent time between my 1st and 2nd fixes adding images to my Pinterest board, which I'm finding is likely the key to success with helping your stylist. I was also very descriptive again in my reviews of the clothing I received. If the three tops had fit me better, I would have kept this entire box! The prints and fabrics were spot-on for me, just not fitting quite right. Also, while my total for the two pieces was $108, the $20 styling fee was included in that. I don't think these are pieces I would have gravitated towards right away, so I like that Stitch Fix is doing exactly what I hoped... pushing me towards new things. I am going to try a 3rd Fix next month, and if it's successful I may continue on every other month... we shall see how it turns out! I've included my styling card below, in case you're curious! "Sydney" was my stylist this round, and I've requested her again if it's possible.